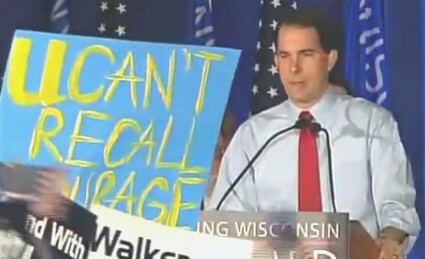 Today, the Wisconsin voters gave a resounding no to recalling their Governor, Lt Gov, and four State Senators. Big Union and progressive efforts failed and cost the Wisconsin people time, productivity, and money. The majority of voters did not like the recall effort in the first place and many voters came out to let unions and democrats that enough is enough. Big labor cannot bully their elected officials. And democrats cannot walk off the job and then advocate that elected republicans, who remained on the job, be recalled. That does not mean that the voters are giving an advance pass to Governor Walker and others for 2014. However, it does signal that it will be performance and not the voice of the unions that the voters of Wisconsin will be reviewing in the future. Tags: Wisconsin, recall, election 2012, Governor, Scott Walker, Lt Gov, Rebecca Kleefischm, state senators To share or post to your site, click on "Post Link". Please mention / link to the ARRA News Service. Thanks!